In this global market, companies are constantly looking for opportunities to do business outside their own country. The relatively new Republic of Kosovo is celebrating her ninth year of independence. Since then, a lot has happened. More and more entrepreneurs are discovering this young nation and exploring opportunities to do business. But of course, not every one knows already about the modern Kosovo. Especially for them, Kosovo-Info.com brings you Nine Reasons To Do Business In Kosovo. 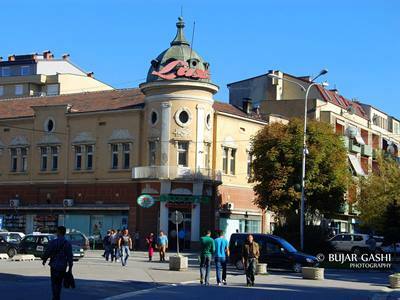 The average income of a Kosovar is one of the most competitive in the entire region. With a monthly wage of 430 euro, it is clear that you don’t need to go to China if you want cheap labor. Besides that, the corporate tax in Kosovo is only 10 percent. Kosovars have a Southern European vibe, combined with an international attitude. This is for several reasons. First of all, a quarter of their population lives in foreign countries like Germany, Switzerland, Belgium, and the United States. Another reason is the fact that thousands of expats are living in the country. They are a familiar sight in the streets. The third argument for the international attitude in Kosovo, is probably the everlasting gratitude towards the American people for liberating their country in 1999. The Euro is the official currency in Kosovo since 2002, when it replaced the Deutsche Mark. Doing business with this economy is therefore very practical. Most of their neighboring countries still use their traditional currency. 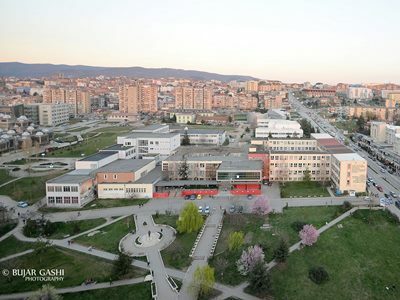 Kosovo is among the top 15 countries in the world for ‘starting a business’. The young nation belongs to the top 35 percent of countries in the world for ‘ease of doing business’. The youngest country in Europe naturally has an active startup community. Dozens of tech companies have been created over the last number of years. Many of them serve Western clients by developing software and performing other services. Kosovo is closer than you think, and easy to reach by plane. Around twenty European cities offer direct flights to Pristina. Besides that, many passengers travel from New York City to the young Balkan state. Especially since Kosovo opened a brand new airport in 2013, flying in to the capital has become a pleasure. Then the city is just twenty minutes away by car. Do you need to get something fixed? Or did you forget to buy something at the store? Don’t worry. Shops, bakeries, and drug stores are open almost around the clock. Do you need to go to the barber on Christmas Day? There is a big chance that a barber in your neighborhood is working that day. Is it after working hours, but you need a handyman? Don’t feel bad for calling this person on his cellphone. Kosovars are known for their hospitality and open door policy, and this extends to the workplace. In 2015, Kosovo signed the Stabilisation and Association Agreement (SAA) with the European Union. And that is good news. Importing and exporting products is a lot cheaper right now, and sometimes even without any import customs. In case you need to go on a business trip to Kosovo, be ready for low prices for delicious food and the best macchiato in the world. 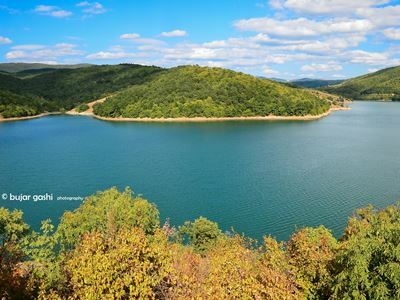 If you want to enjoy a day off, you can visit a number of cultural or natural sites in the cities or countryside of Kosovo. Tip: Which three sectors offer good business opportunities in Kosovo? Onfonia Telecom (germany) moved from near dortmund to Kosovo, everything is fine the also the nice TAX, Just the bank wire fees are quite high for us, thats a big minus for us! It’s difficult to find good quality writing like yours now a days. I seriously appreciate your hard word on this blog! Take care!! We want to make garments business with any good Company. Please contact me.